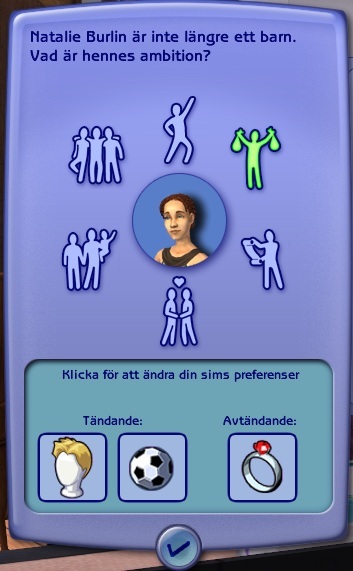 Previously at Ovanåker we had chaos with 8 children and a cat. 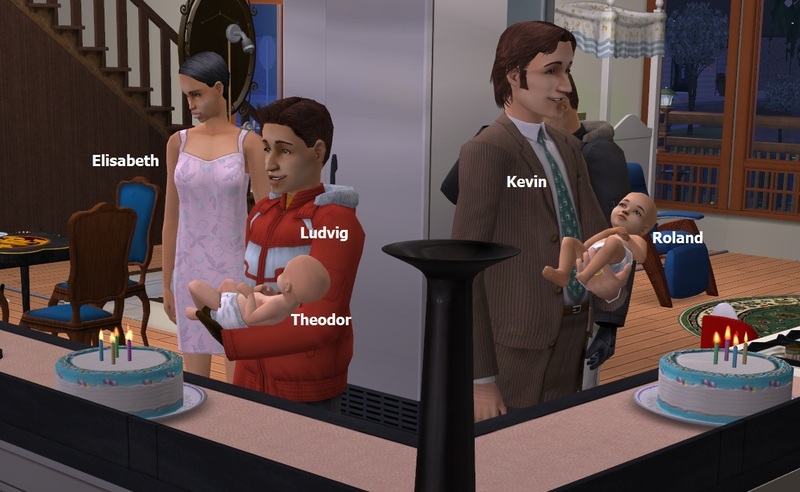 Elisabeth got pregnant for the last time and Roland and Theodor was born. 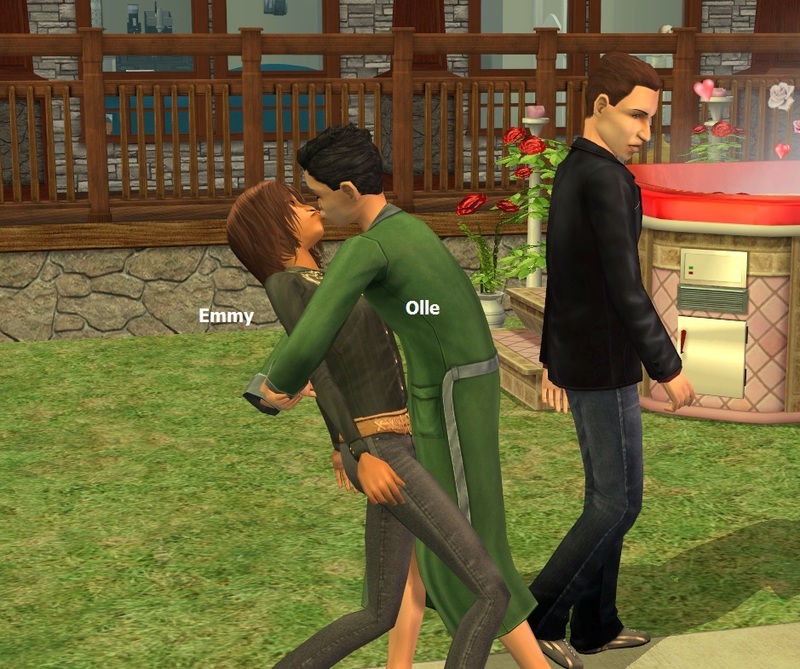 Olle grew up to a Fortune teen and arranged a successful headmaster visit. 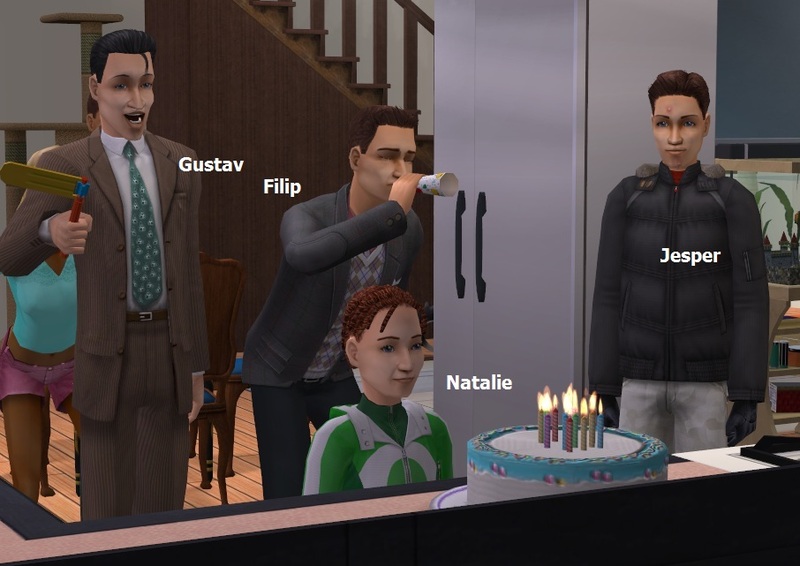 Jesper became a Pleasure teen, and the younger children had a lot of birthdays too. Filip moved to University. Natalie had grade-warnings last round, and Kevin now concentrates on getting her prepared for better results. 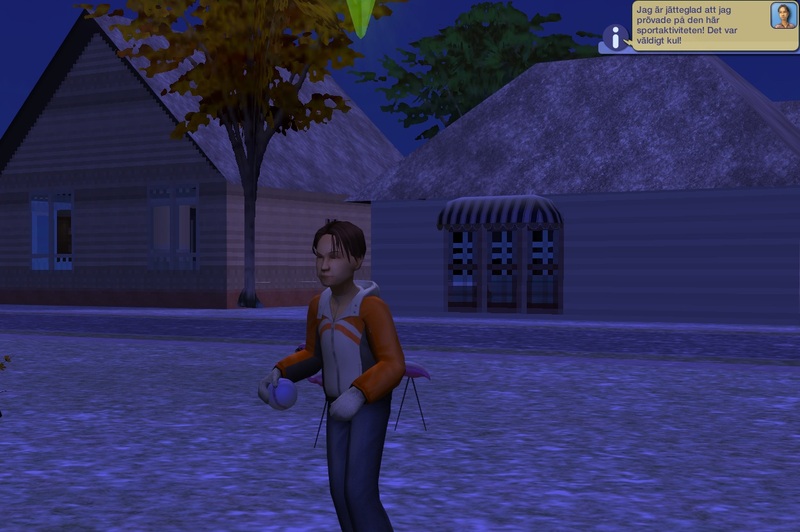 Charlie finished his homework and finds that his preferred hobby is Sports. With daylight, we give a typical Burlin moment. 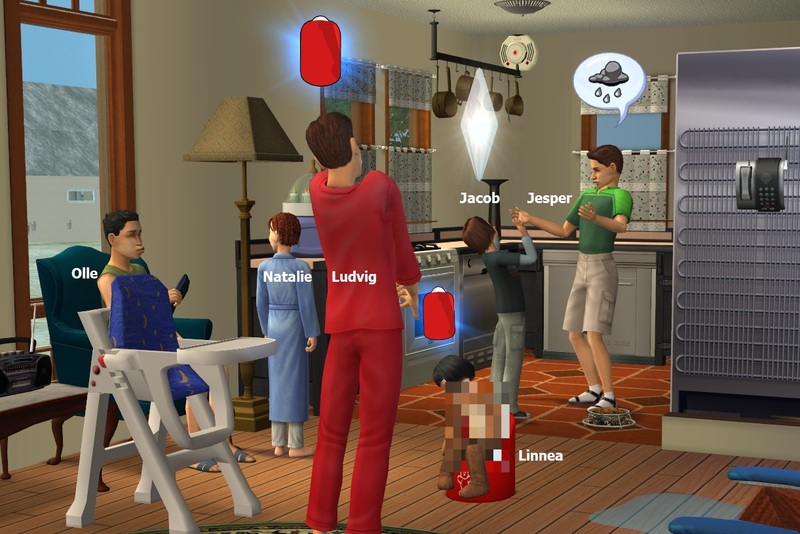 Linnea, the only toddler, gets potty trained in the middle of chaos. 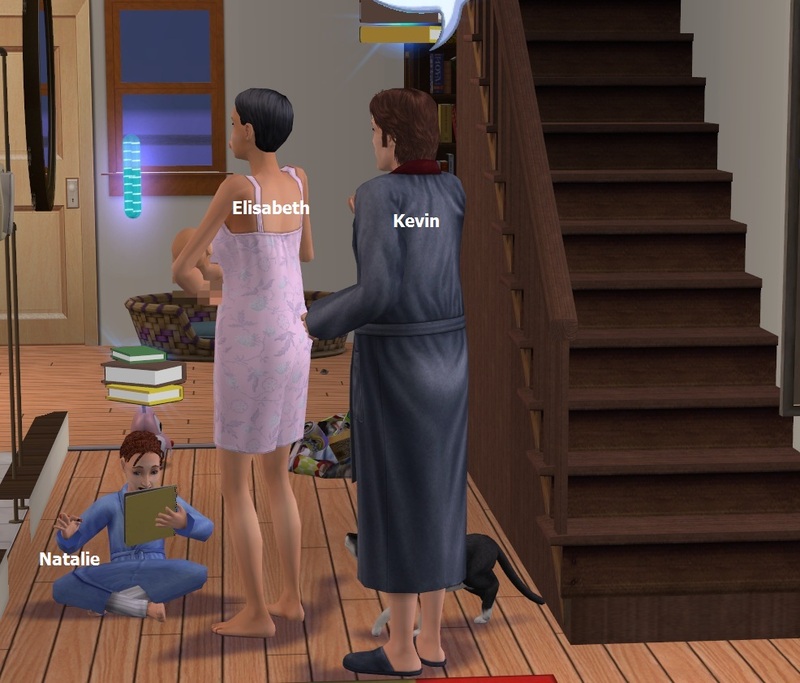 Half the family is gathered around her, preparing for school. 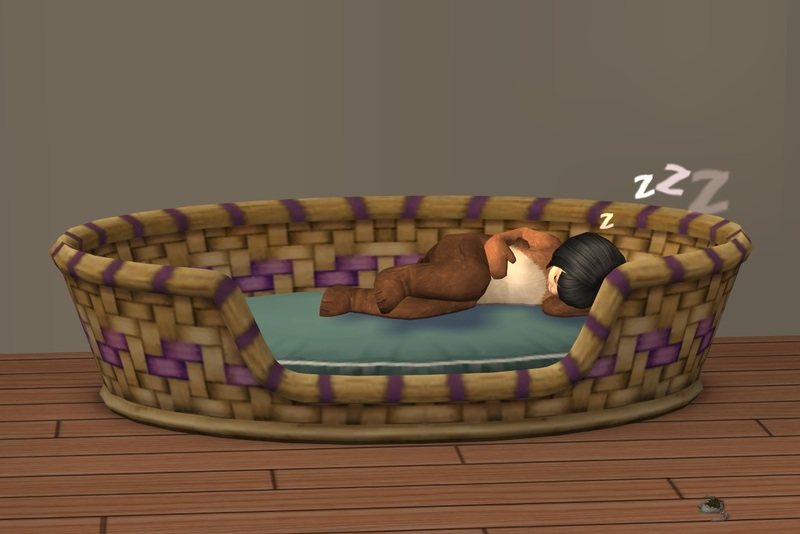 She's used to her big family, though, and crawls up in the cat bed when she gets tired of it all. The oldest boys’ grades are slipping, too, so a massive catch-up session ensues. 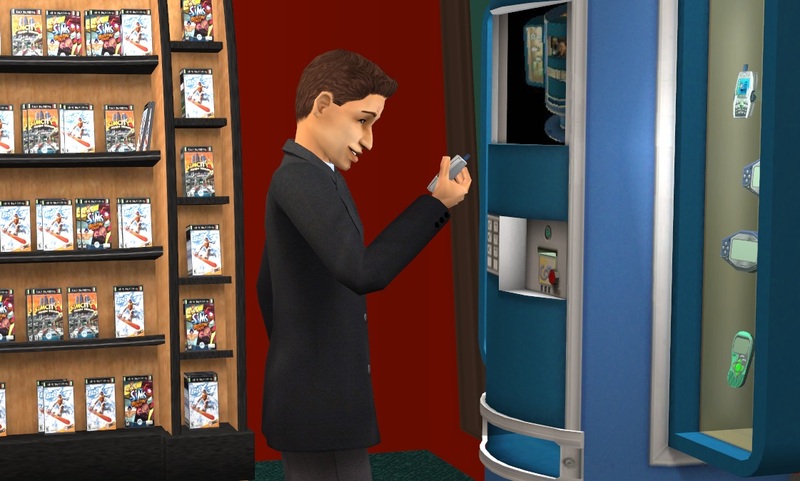 Kevin works in the Political career and gets promoted to City Council Member. 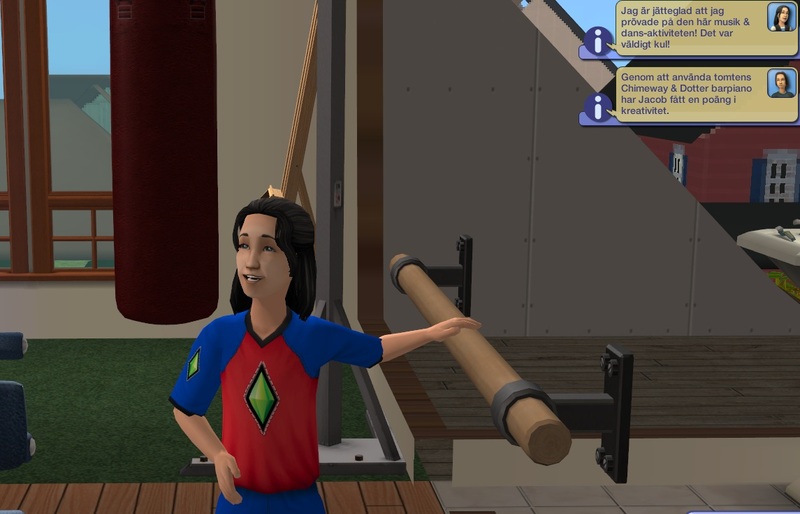 She grows up well and chooses Fortune as her aspiration. It’s the fourth Fortune kid Elisabeth and Kevin has produced! Two are Pleasure and the rest are minors. 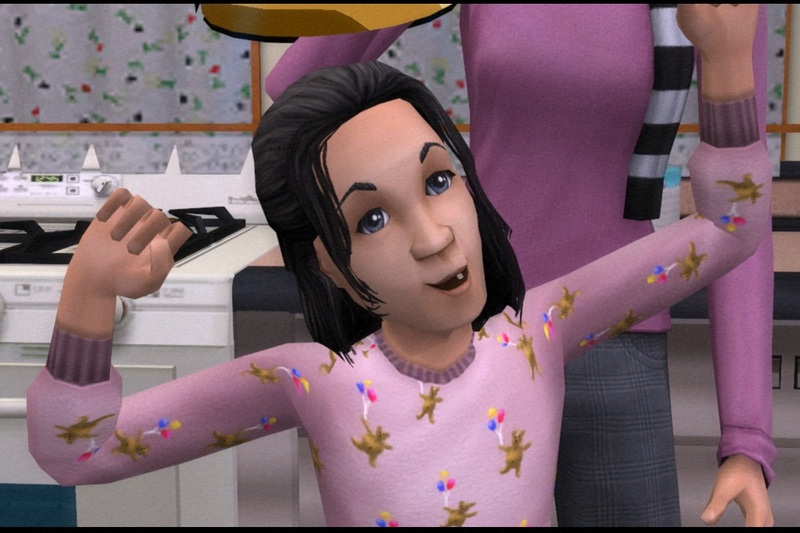 She grows up well and looks a lot like her father, except her black Mattsson hair. 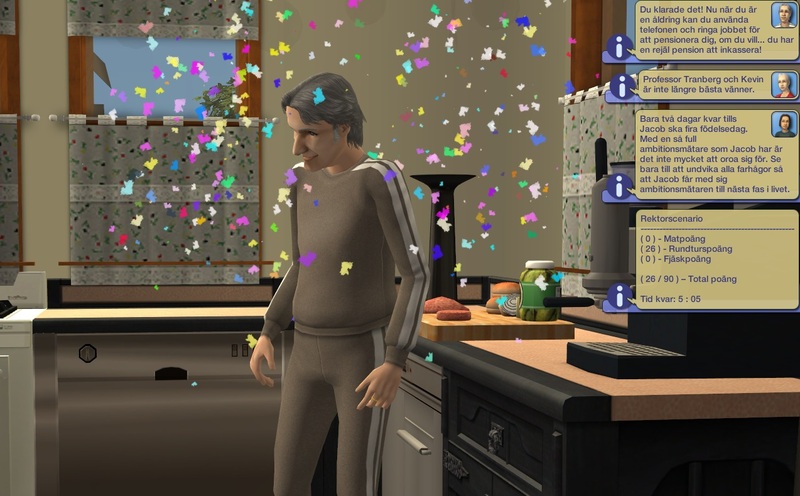 The great official party is over, but the birthdays are not. In the background Kevin lectures Ludvig for something we didn’t see. 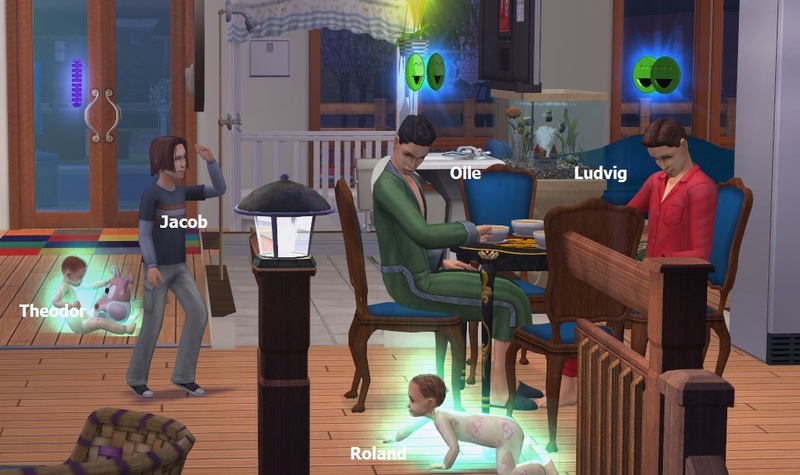 The last babies will become toddlers tonight. 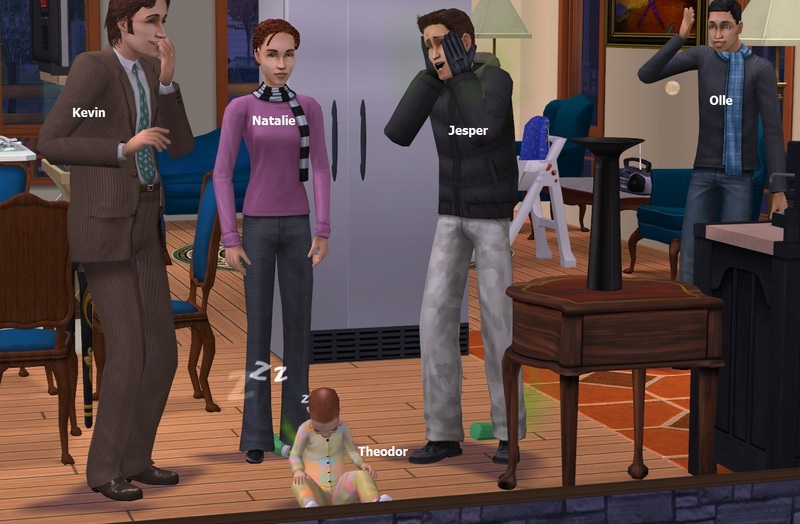 Immediately upon turning, Theodor falls asleep on the floor, and his nice and supportive family laughs at him. They don’t always make fun of the babies – it happens that they teach them some things, too. 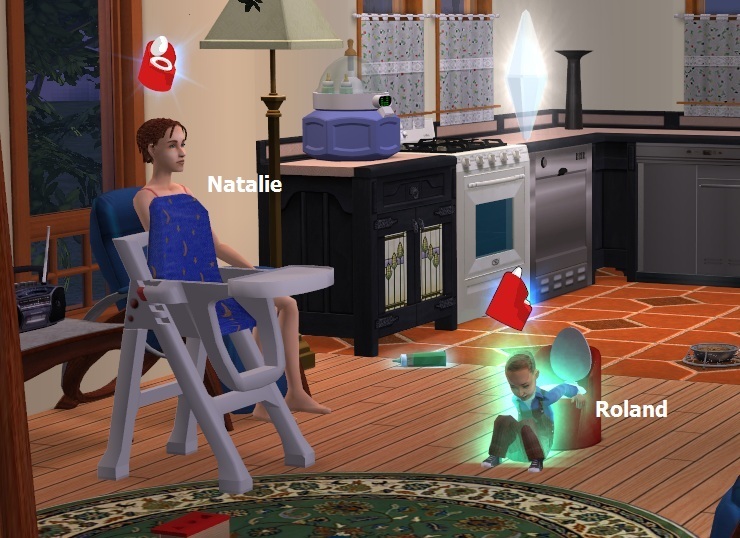 When Roland learns to go potty, Natalie is on baby duty. 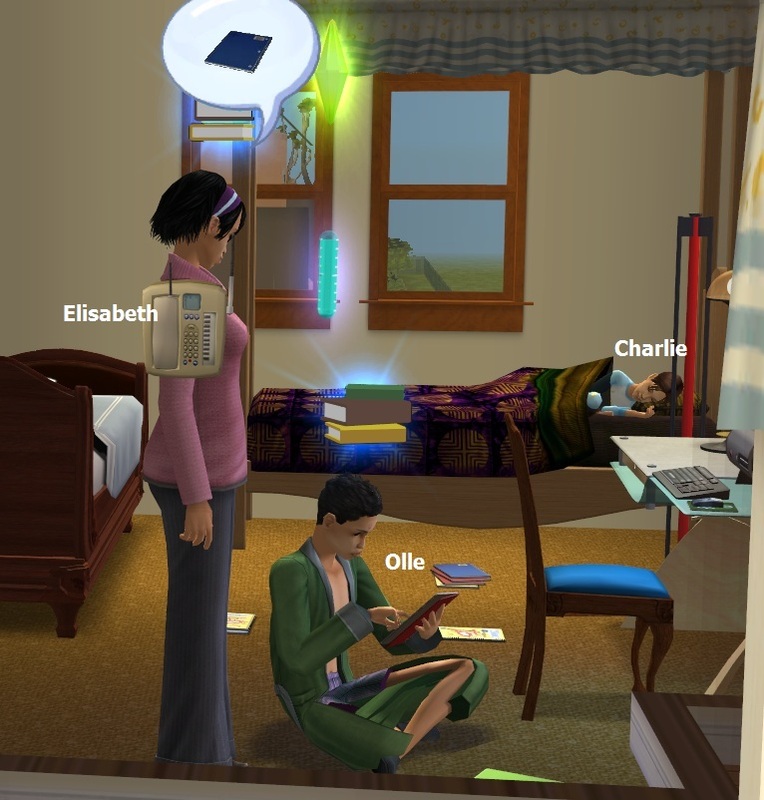 That is since Elisabeth is on teaching duty and teaches Olle how to study. This house is full of boys and there’s always one more brother to become best friends with! And yet another homework session to be had. 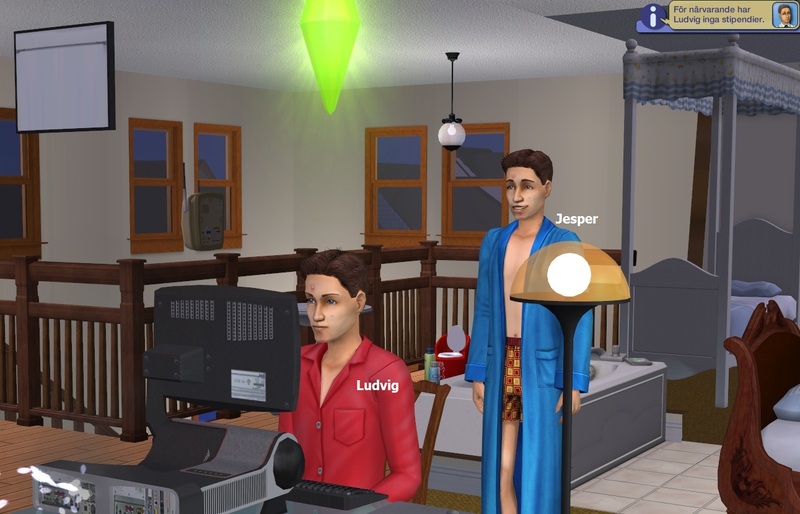 Just when Ludvig finds that he’s got no scolarships whatsoever, the computer breaks, and he decides it’s time to move to Uni immediately. 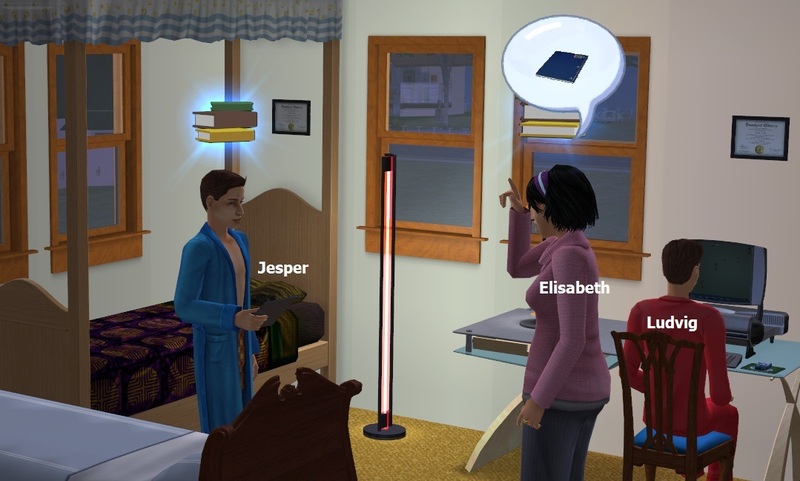 Jesper can deal with the broken computer. Kevin found the time to teach Theodor to speak and they became friends in the process. 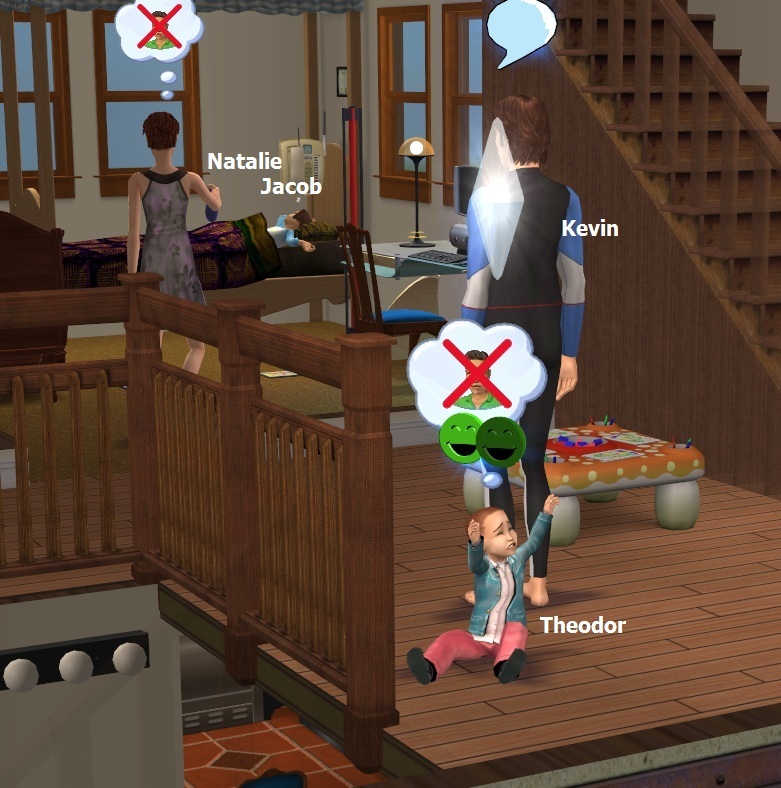 Theodor doesn’t like being left alone on the floor, though. 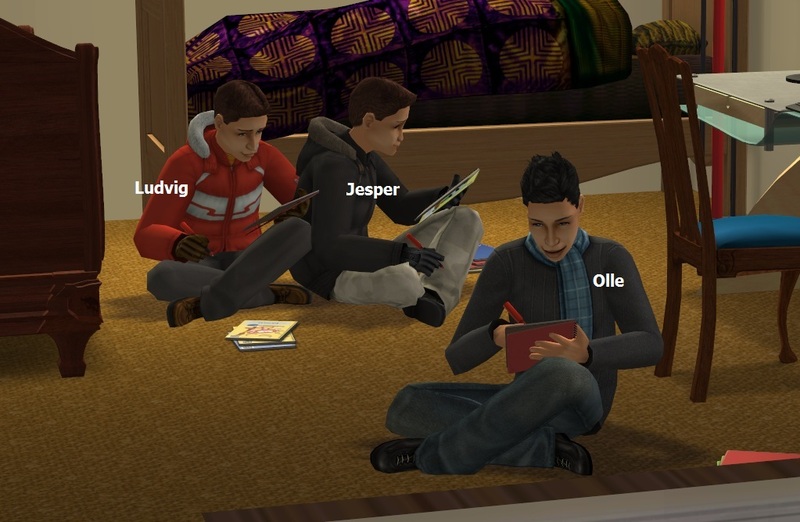 Her elder brother Jesper has other interests. He just booty called out notorious family girl Siv Markövertag. Had no idea he had the hots for her. Apparently he did, very much so, and gets his first kiss from her that day. Inside, we have a modified family Sunday birthday party again. 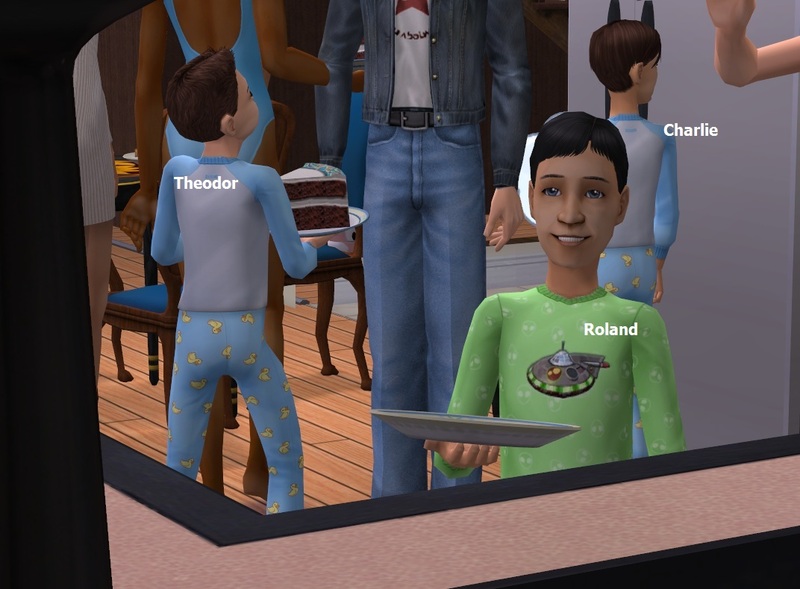 The last toddlers Roland and Theodor are becoming children! 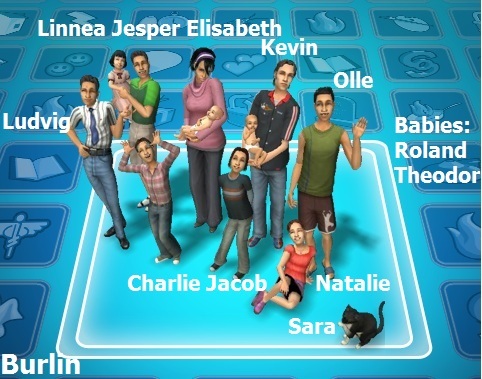 It will however get one less person crowded after tonight, when Olle leaves for University. He even manages to land a scolarship in dance! 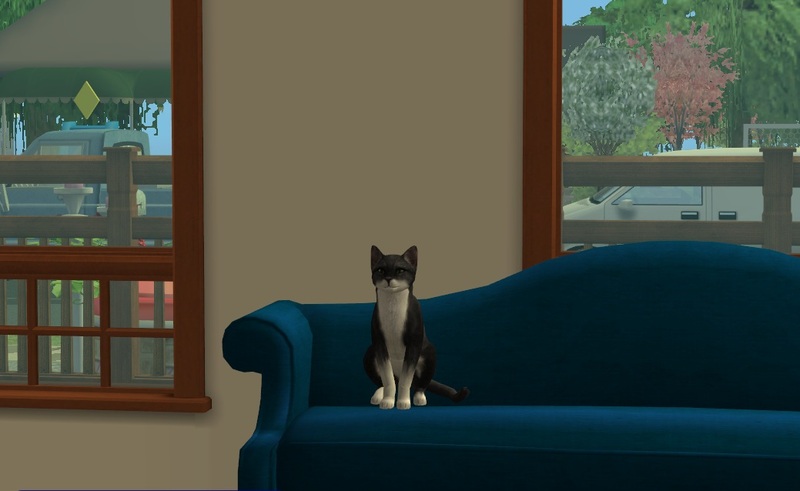 Then, for the first time ever in this house, noone is at home during daytime but the cat Sara. Luckily they remembered to feed her before they left. What’s a deserted cat to do? She has to seek some solace with the handyman coming in to fix everything the family broke during the weekend. At home, the smaller children come home from public school with better grades – Jacob even aces his report card! 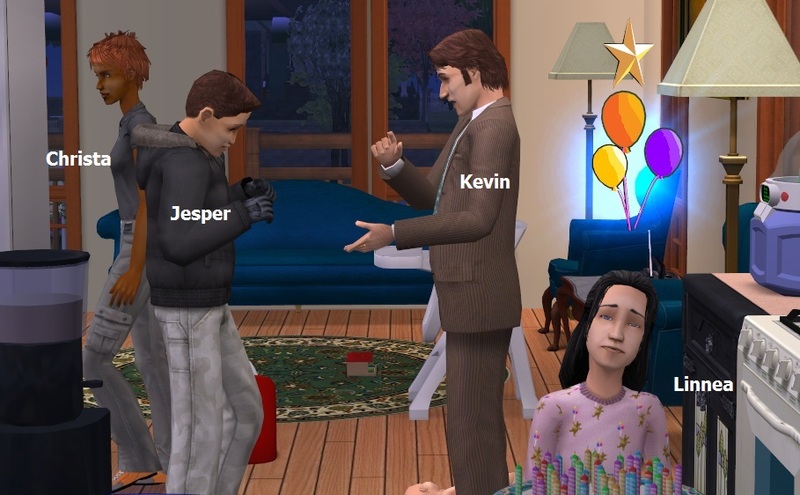 So it’s decided to try to get them all into the same private school that the older ones already attend. 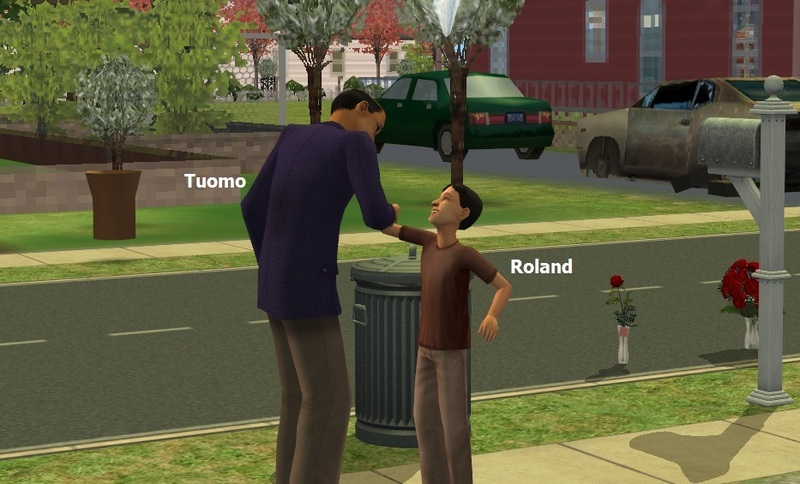 Roland is sent out to greet the headmaster and do the tour. Elisabeth comes home promoted to University Professor. 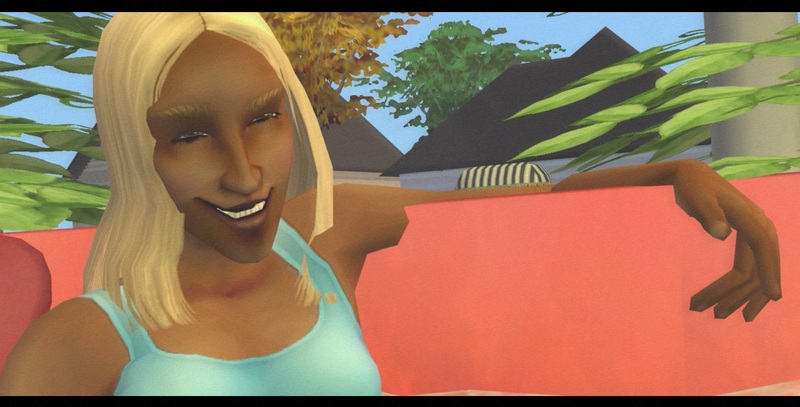 And even though Natalie is very charming and manages to get 29 schmooze points, they don’t make it. Luckily noone had the fear not to be accepted. Better luck next time! And as soon as the failed headmaster visit is over, Elisabeth grows up well to elder and the round is over. 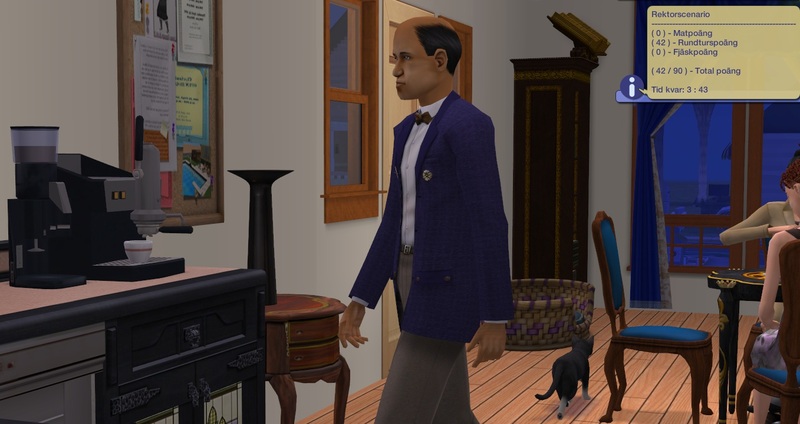 Unexpected accidents are known to happen to senile NPCs... although in this case, I would guess the house is littered with invisible glitch seeds from the crowded family life. Phantom butts, invisible kicky bags and what not. 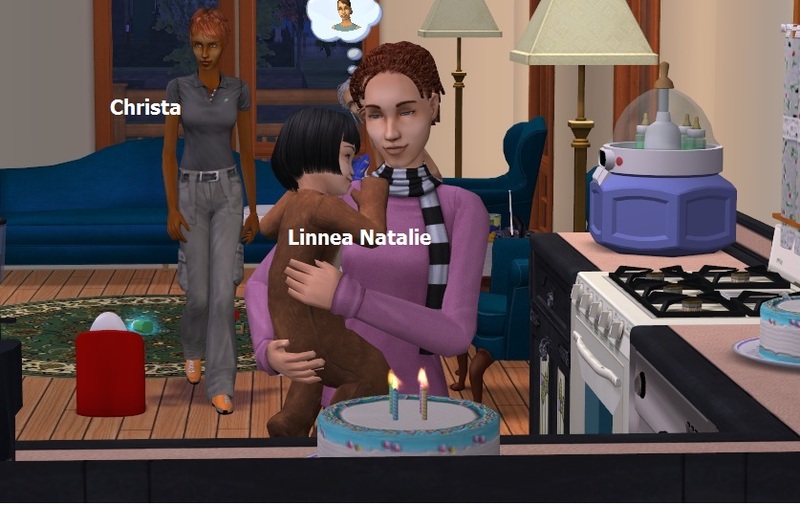 Poor kids, but at least the oldest managed to get to Uni alive! Tough luck on the headmaster visit. I only rarely do it because it so often goes wrong for one reason or another. 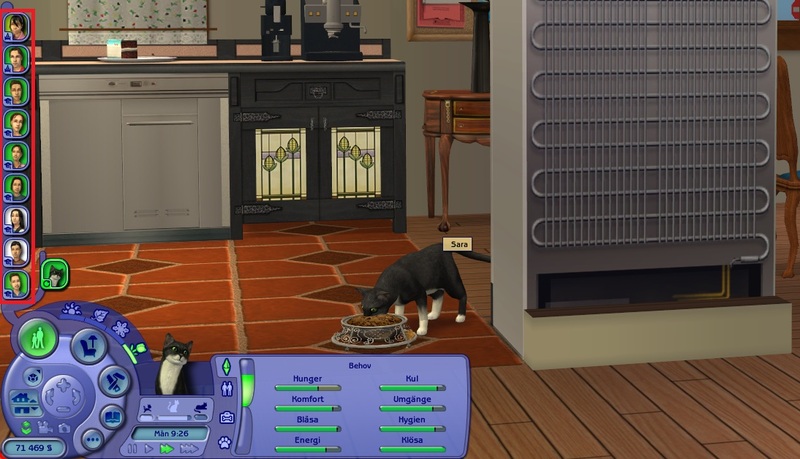 It seems to be very buggy, and getting him to eat dinner and having it count seems to be one of the buggiest parts. Hopefully it'll go better for you next time. Good job with the rest of it. Even as crowded and busy as this place is, it seems all the kids are doing ok and growing up well. 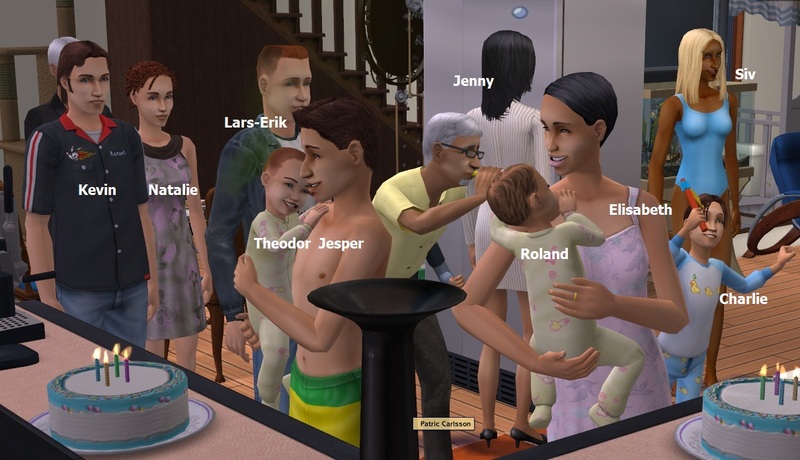 What a crowded house - at least before the eldest moved to college. No wonder there are "glitch seeds". 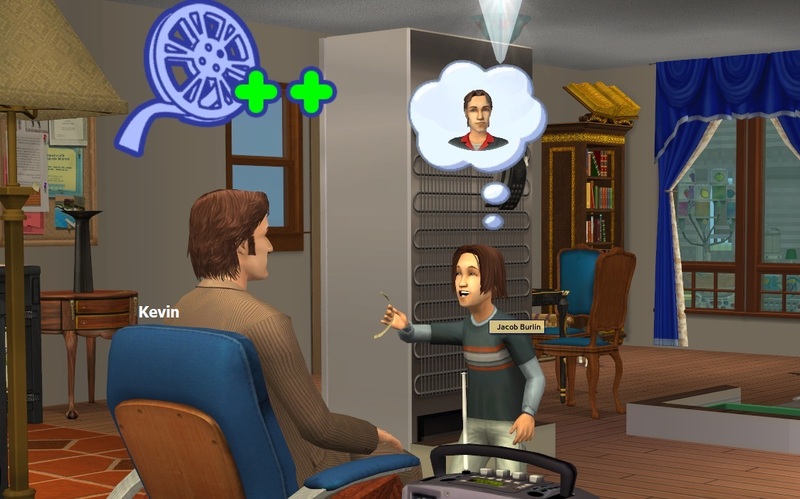 And my beloved Kevin got a dorky outfit when he grew up. :( Too bad, that bowling shirt really did suit him. 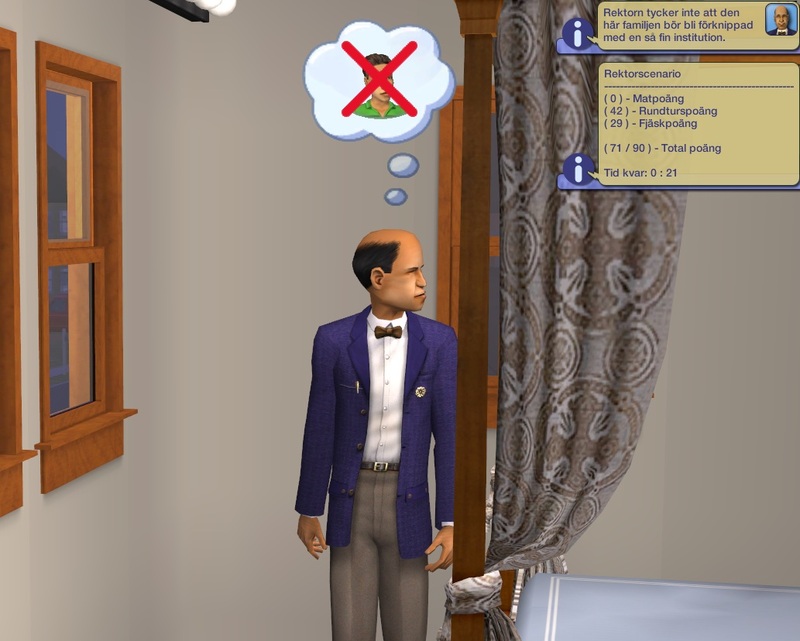 It is always frustrating when the headmaster glitches during a visit. Very much so! And the headmaster scenario is the one process in this game that glitches most frequently. 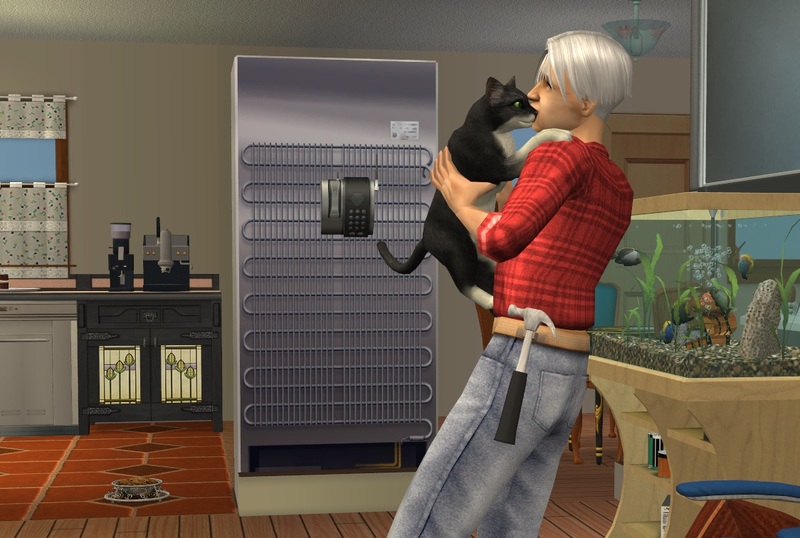 Therefor I don't usually care to try it, unless a sim expresses wishes for it.